When I first launched my ‘I Did It Mummy’ blog, I would never have imagined that one year later I would still be sat at my computer writing my blog and actually finding something to say. In the last year, I have written 68 blog posts (that’s more than one a week! ), had over 5,500 views and raised £172.00 for BIBS (Babies in Buscot Support) and I’m pretty proud of that. 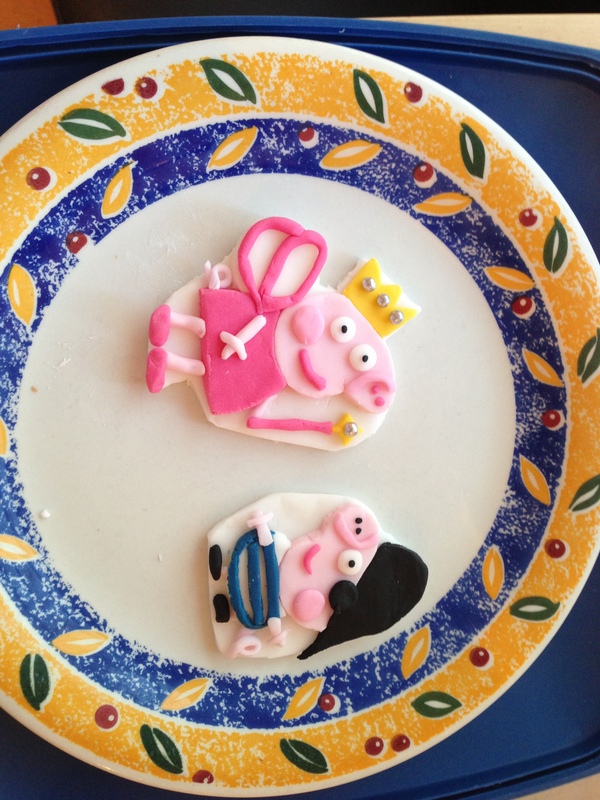 I have also tried a few new things – painting, photography, cake decoration, using a slow cooker for the first time, attempted a make over (clearly still a work in progress! ), tried out a bit of sewing, taken up netball and found myself a lovely part-time job, after two and three quarter years as a stay-at-home-Mum. The children have also hit some pretty major milestones – Benjamin has learnt to walk and has turned into a very chatty nearly 2 year old (more of that in an upcoming blog post!) and Ava has got her 5 metres at swimming and left pre-school. My long-suffering husband has recently achieved a couple of cool things too. 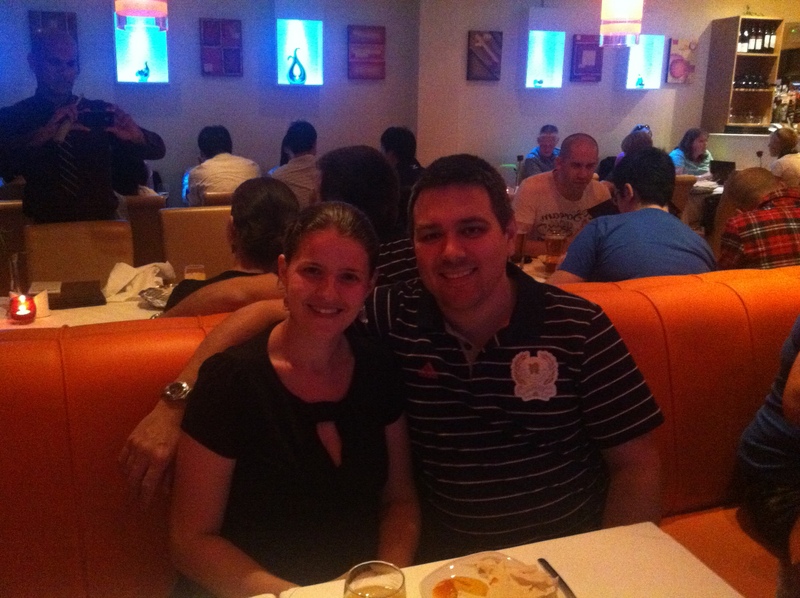 I have promised I will dedicate a blog post to him soon so more of that then! In the spirit of my blog ‘Because there’s a first time for everything’, I thought just for fun I would test out the poll functionality on this blog. I have looked at my readership and come up with my top 10 blog posts over the last year and I want to know what you have enjoyed reading so vote now! As ever I am on the look out for new things to try, so if you have any ideas, please feel free to ping them my way and if they can help raise money for BIBS, then all the better! With my eldest starting big school in the Autumn and my youngest turning 2 (where has the time gone?) this Summer, I had become acutely aware that the baby years are almost behind me and that I should start thinking about my next step. In my head I was laying the foundations for my job search, by bookmarking recruitment and company websites of interest, with the aim of starting the job hunt in earnest after my daughter had settled in at school. In the 2 years, 9 months and 17 days I have spent as a Stay-at-home-Mum, my priorities have clearly changed. I no longer seek to climb the career ladder (for now!) and having spent a lot of time with my children, I still want to be there at the school gate and to support them. 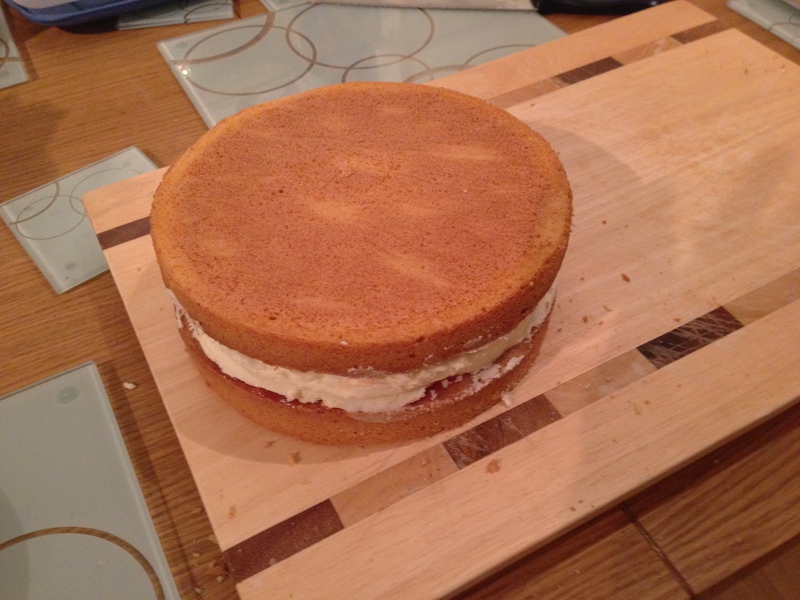 This probably equates to having my cake and eating it…don’t mind if I do! I long ago discounted the notion of starting my own business or having a crack at the numerous direct selling opportunities that promise to give you the flexibility around your home life but in reality mean that you fit in work when the children are napping or after they are in bed. How would I find time to write my blog if I did? I knew too that I would not and could not work full-time or spend many an evening on a laptop. It just doesn’t work for our current family dynamic and we are fortunate that I don’t have to. We don’t have the luxury of free grandparent childcare so any job would have to cover childcare costs but to be honest, I don’t think that our parents should be looking after our children on a regular basis (the odd night or weekend is very welcome though!). They’ve been there, done that and I rather suspect I will feel much the same when I reach that stage in my life. Anyway, I was after that elusive part-time job where I could still use my brain but be there for my children. So imagine my reaction while I was surfing one of the recruitment websites that was advertising for a part-time, term time only job based in Reading. As a bonus it was an industry that I am familiar with and as a charity, my recent voluntary work with the NCT has given me some valuable extra experience. It ticked all the boxes and it was an opportunity that I couldn’t ignore. I was disheartened to find that there had already been 100+ applications according to the recruitment website and felt that my chances of landing the role were slim. Fortunately the company name was mentioned in the ad and I decided to apply directly through the organisation’s website in the hope of giving myself a better chance. I suspect that this, combined with the fact that I put in my application at the eleventh hour, improved my chances. Two weeks after going for the interview I was offered the job and two weeks after that I started work. I was lucky to be able to negotiate my working hours so that it would fall on my daughter’s pre-school days and even more fortunate that my next door neighbour has just started childminding again. I love it when a plan comes together! My only debate now is how to categorise myself. I am technically no longer a Stay-at-home-Mum but equally I don’t feel like a working mum yet and with 6 glorious weeks to spend with my children this summer holidays, I suspect I will be more confused than ever on what to call myself. And for those of you wondering whether I have managed to maintain my straight hair and make up for work, it’s only been 3 weeks, so yes. Give me another month and the curly hair and natural face of the 4 days that I don’t work may make an appearance! 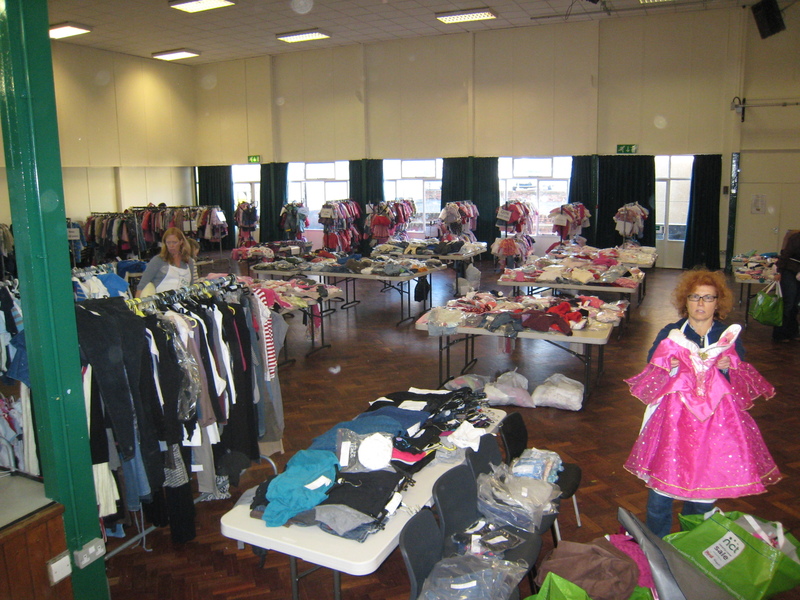 Back in July when I jointly agreed to run the NCT Wokingham Nearly New Sale with a good friend, I had no idea quite what I had let myself in for. My good friend had offered to co-run the sale prior to going back to work but a high profile promotion later and I was pretty much flying solo. This was going to be a baptism of fire. So I set about doing what I do best, getting organised and getting the job done. I started by contacting a veteran of NCT Nearly New Sales who had organised four previous sales and met with her to get down to the nitty gritty. It’s fair to say by the end of this meeting, I was pretty overwhelmed with the sheer enormity of the task ahead. I’m a natural born worrywart and the only way I can curb my anxiety is to pro-actively do something about whatever is concerning me. This meant taking control so I armed myself with my master document, detailing all the tasks that needed doing, by whom and when. If it wasn’t on the list, then it wasn’t getting done. When people ask what I do, I usually say that I don’t work at the moment and am a Stay-at-home-Mum who dabbles in various things, the NCT, being one of those things. 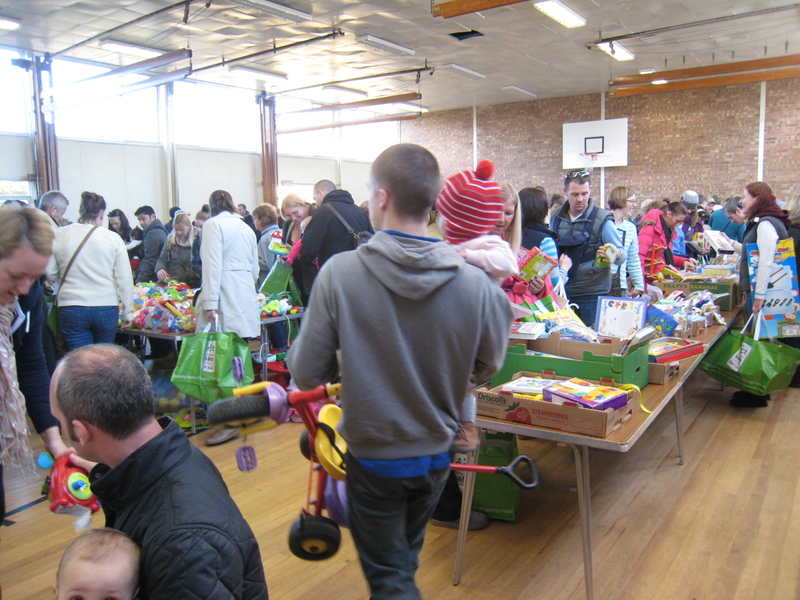 If organising an NCT Nearly New Sale isn’t work, then I don’t know what is, albeit it is voluntary work, i.e. no pay cheque at the end of the day! Heading up a team of volunteers is a very different challenge to heading up a project team at work. At work, there are roles and responsibilities which come with accountability. At work you can hold weekly face-to-face meetings , check on progress, set expectations and delegate. In the volunteer sector, there is no such thing as delegation, you can ask for help and pray that the job gets done. I was fortunate that there was already a core team in place – I certainly couldn’t have done this without our Volunteers Coordinator, Seller Registration Coordinator, Till Coordinator, Treasurer, PR Coordinator, Café Coordinator, ‘Costco’ Coordinator (who got all our supplies! 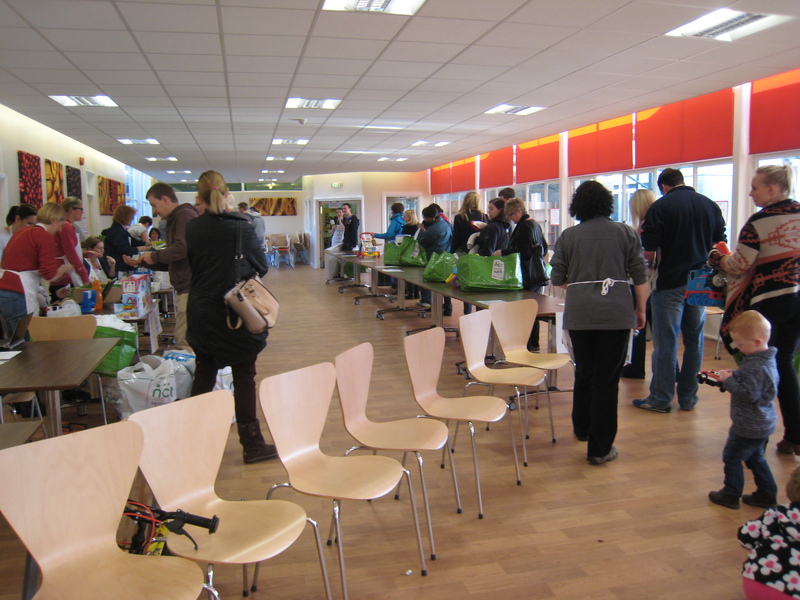 ), not to mention the 40 plus volunteers who helped out on the day and 3 husbands (including mine) who were in charge of parking and queue management. To top it off, we had a great site manager who made sure that all our needs were met and my good friend was invaluable on the weekend of the sale, helping to set up and cart equipment about. 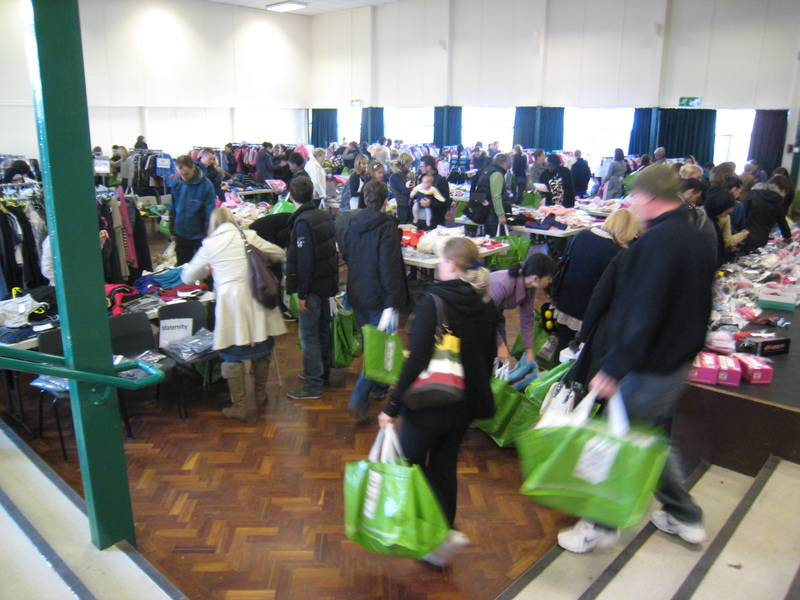 So the results are now in (drum roll please…) and the sale was an overwhelming success – 136 sellers, 445 shoppers and £4.5k raised for the NCT and I made £80 as a seller – not bad for a first time NCT Nearly New Sale Coordinator! 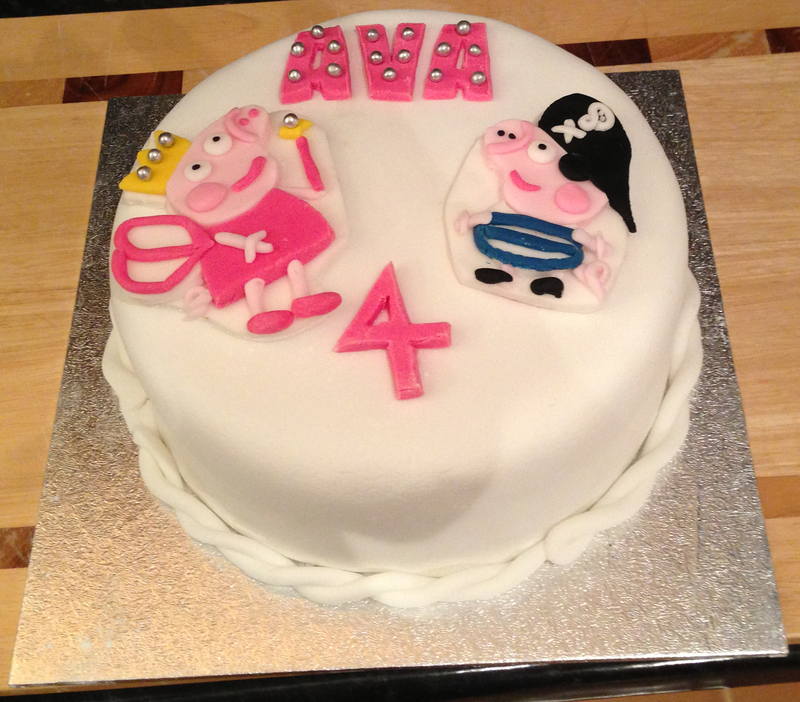 With Ava’s 4th birthday now only 2 sleeps away, I have competed in my annual version of The Great British Bake Off. 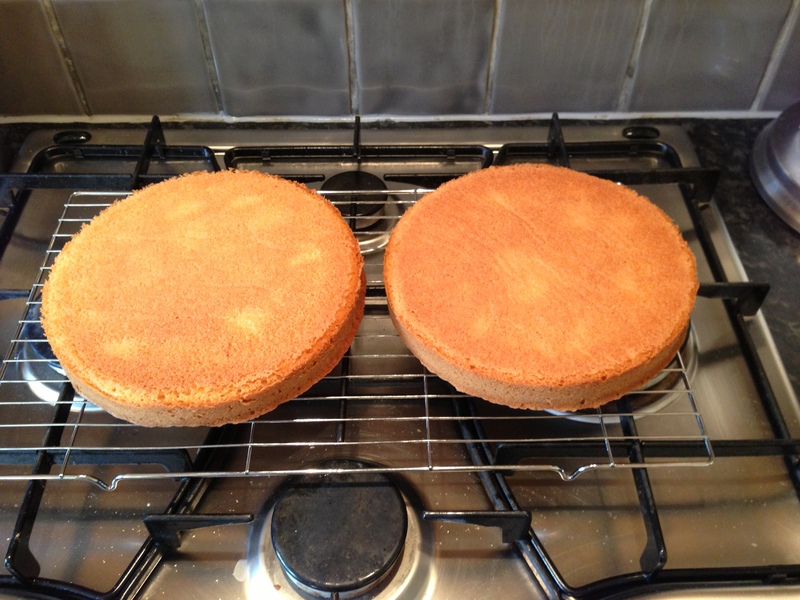 Ok so Mary Berry and Paul Hollywood are hardly likely to pay a visit to my kitchen but the pressure of having ‘the cake’ on show for the scrutiny of all my Mummy friends at Ava’s 4 th birthday party this Sunday is surely on par. For those of you attending said party, as I know quite a large proportion of my current readership will be there, I really don’t take cake making that seriously. As a Stay-at-home Mum, I personally don’t feel justified in buying a cake or paying for someone else to make one but I certainly don’t judge those that do. 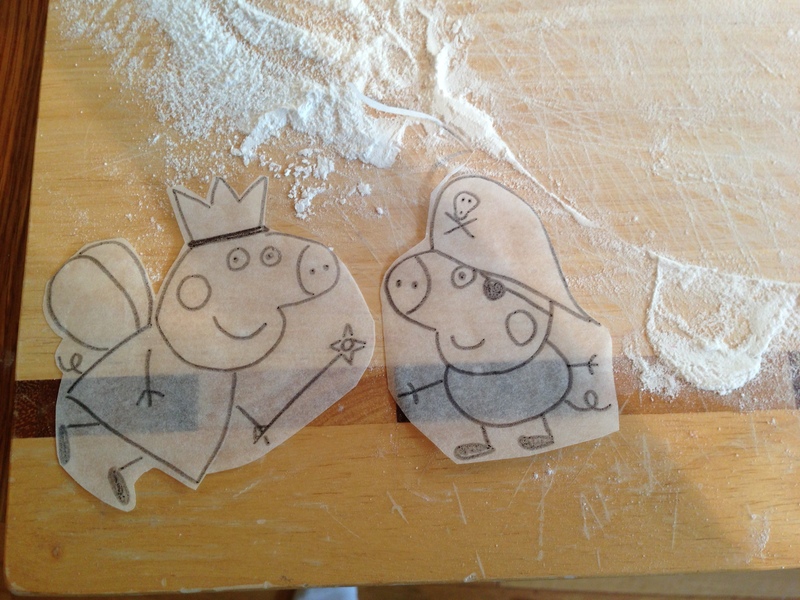 I’ll let you into a little secret though – I have bought the fairy cakes so I’ll let Ava loose on the decoration of these! 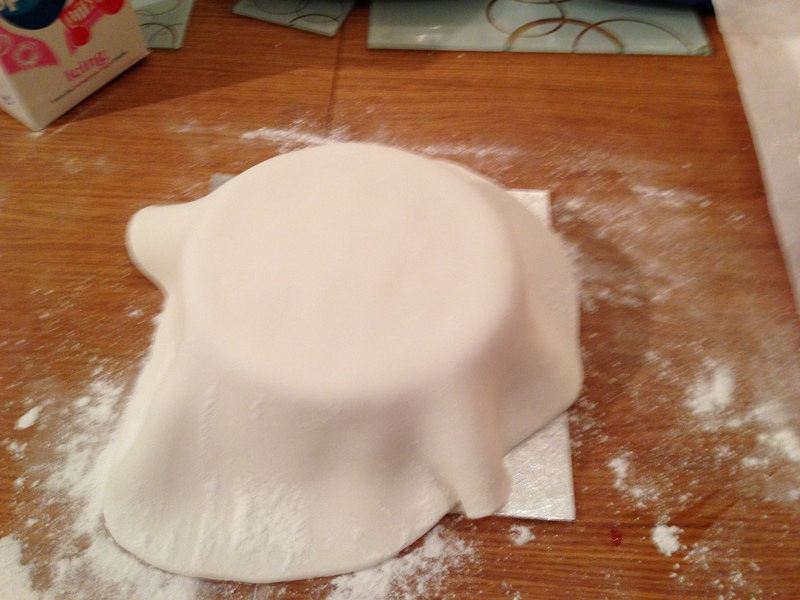 So here is the finished article and I think it’s my best one yet! 1. 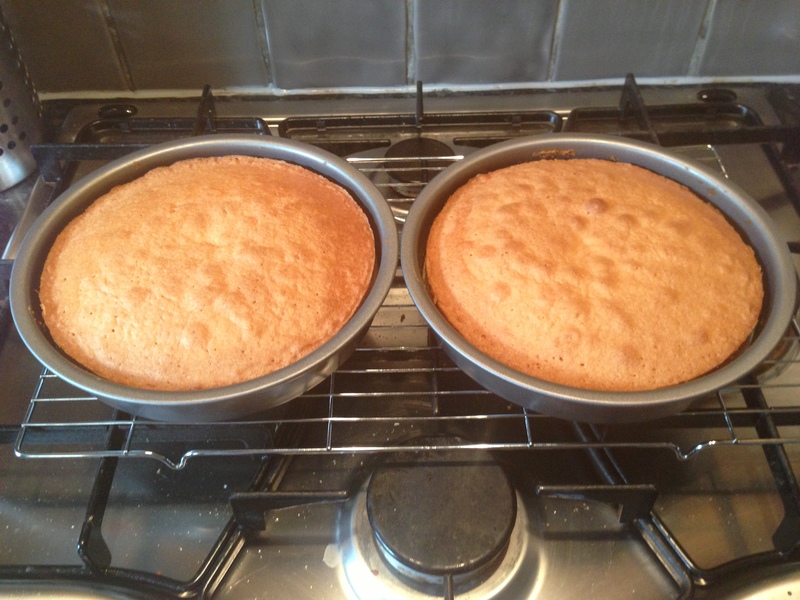 Thank you to Andrea of Andrea’s Celebration Cakes for sending through the recipe for the Madeira cake. It was a little cheeky to ask for a recipe but a friend and I are doing a cake decorating course with Andrea in a few weeks time which I will no doubt report on here. 2. Thanks to my husband Andy for saving me from a cream and jam disaster. 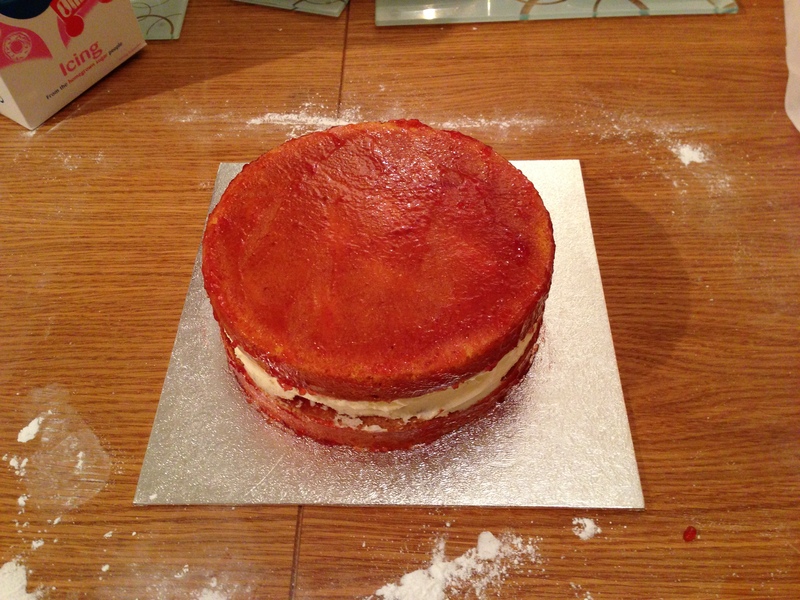 Benjamin’s 1st birthday cake lacked jam so I decided that I would spread jam over both halves, only to discover that I then couldn’t spread the cream! 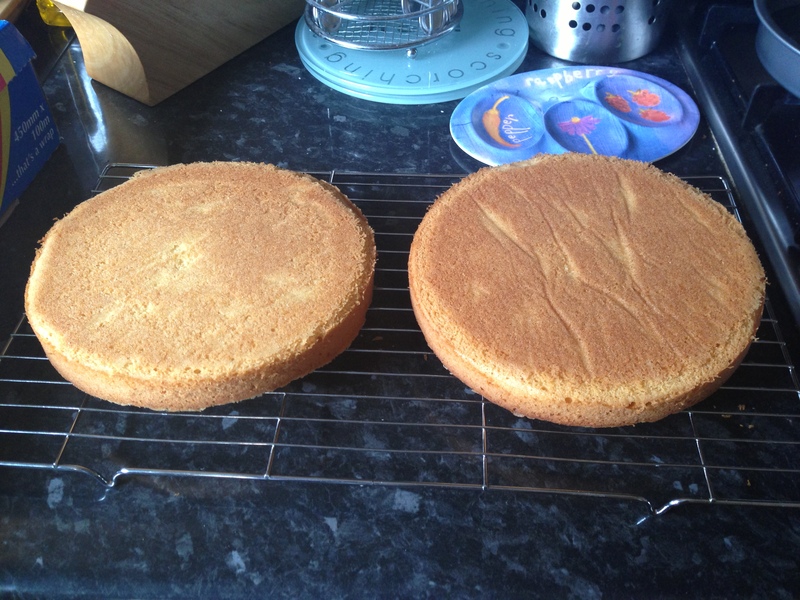 Jam scrapped off and a sliver taken off the end of the cake with a sharp knife rescued the situation. 3. 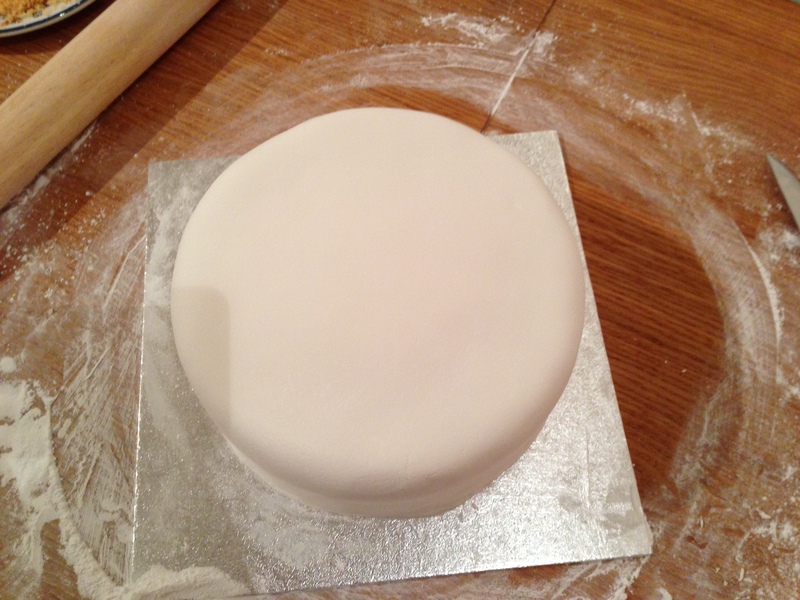 Thank you to my mother-in-law Nadine for helping me to lay the royal icing on the cake and for suggesting the twisted trim around the bottom which I think really finishes off the cake nicely. 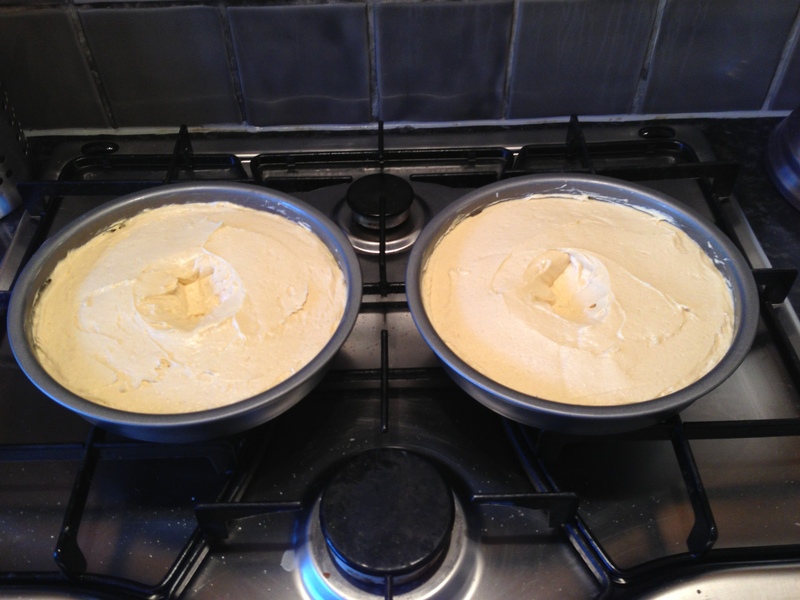 Place a bowl of water at the bottom of the oven to make the cake more moist. 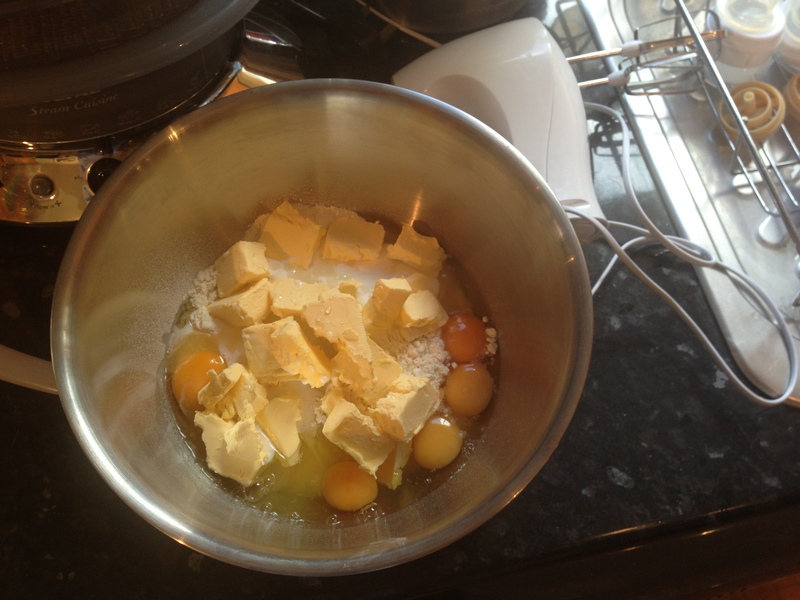 Add a 1/4 teaspoon of glycerine per egg, also to increase the moisture content. 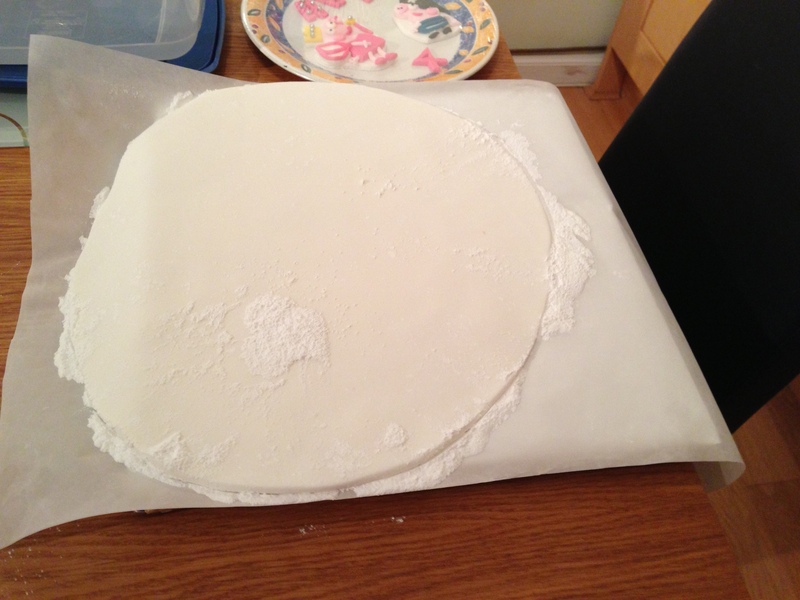 Grease the baking tin before laying baking patchment in the tin. 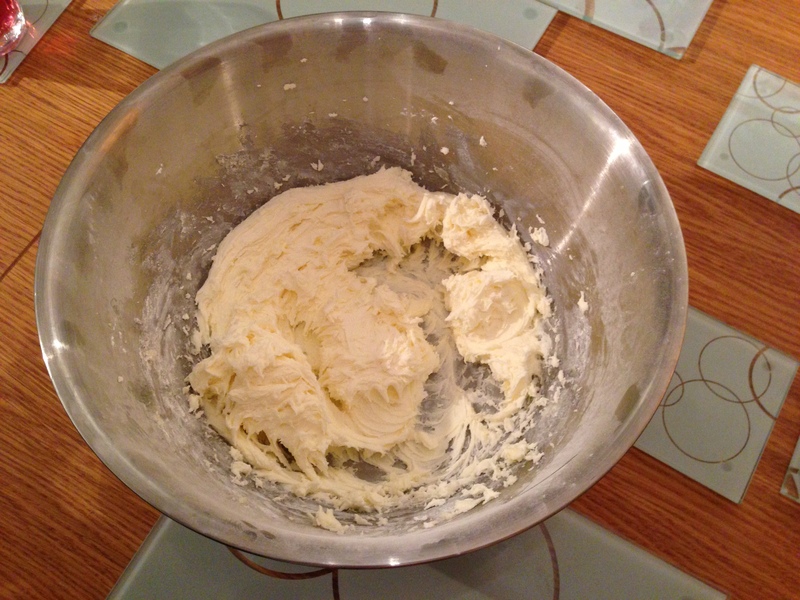 Use a cocktail stick and dip in a small amount of paste to colour the royal icing. The more dips, the deeper the colour.